The following series of 2 essays offer illustrated, thoughtful discussions about photography. For some, it may be a game changer, asking why do you photograph, what do you photograph when you have decided ‘why’, and how do you photograph what you have chosen for it to honestly represent your ideas? Along with these essays will be a growing list of blogs which will lead the viewer to recognise the power of photographic storytelling, how to relate text to images and how to present your finished work to others. Together they will explain why, in these stressed times, each person’s contribution is important – the essays will help people find a voice. Eventually they will lead to the photographer gaining pre-visualization skills for the one-off image, and for storytelling. 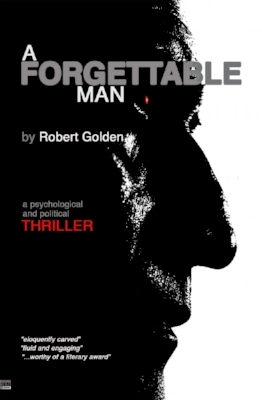 Written by Robert Golden, an award winning, often exhibited photographer, he offers thoughtful ideas not usually expressed with such truthfulness and clarity. Robert uses pictures from his extensive output to illustrate his ideas. Part 1 explains the idea behind the title. the nature of observation, the quality of culture we live within, and the necessity to nurture curiosity and permanent questioning. It asks readers to examine why they photograph and places that in the context of art and society. It shows how discovering one’s themes lead one to discovering what there is to photograph and goes into some detail about storytelling, themes, subject matter and content. This novel is the story of David, an American photojournalist, targeted to become a martyr by revolutionary ‘friends’ in a dysfunctional, immediately pre-Arab Spring, tin pot dictatorship. The front-story reveals a tense intellectual and emotional struggle to cope with the treachery, to accept that he must act and then to do so. The events take place across one day; the clock is ticking; this is a thriller. The narration is inter-cut with the story of his childhood in the American Midwest and his efforts to escape his cultureless, unloving and oppressive family and city. He strives as a child to comprehend the world around him, to make sense of the senseless violence meted out against him by his brother and others, to cope with his father’s silence and frequent hostility, to deal with an on-going illness, to grasp all the knowledge he can, and to become a photographer as a way of finding redemption. "For once, I’ll talk about a book I read…This is an amazing book…it makes for very, very intense reading. The author is originally a photographer and he often succeeds in describing and making you visualize a scene, engraving it in your head forever. Some of those images, and I mean images, are going to stay with you for some time after you turn the last page of the book. The childhood story and the shooting scene in Bosnia are both captivating. So, if you have no idea for a present for a person close to you, or if you simply want to read a good (and surprising) book.. Go and buy it now!" This dramatic poem, written on an epic scale, was composed to describe the injustices that have been done to millions of refugees, unemployed, displaced and disenfranchised people across Europe over many generations. It evokes the collective struggle of the dispossessed and victimised to find a home and place of safety, and to bring about a fairer, better and more enlightened world. While the story of exile has had bitter meaning for Huguenots, landless peasants, gypsies and Romanies, Jews, Bosnians, Socialists, the unemployed, Armenians, the starving, Irish, Communists, Catholics and many other groups, it is tragically as relevant as ever today for those escaping conflict and famine in the Middle East and Africa. The poem was first performed as a multi-media, spoken word performance about refugees, human displacement, unemployment and migration in Bridport, Dorset, UK in October 2015.
" I am half way through this poem... really beautiful work... the poetry flows and undulates through emotions and thoughts and images effortlessly... the pace and timing stirs a deeper life energy…"
"This epic contemplation, did not raise my spirits, nor did I feel it was meant to, in spite of the nascent glimmerings of hope, seeming from afar. But it has rigorously and with the strength of hammer blows presented evidence to demonstrate, over and over again, how wrong paths have been followed, and how storm-troopers have passed themselves as boy-scouts, to the benefit of their masters, and the corrosion of a just and fair society." Robert Golden, a unique multi-award winning photographer, film-maker and mentor shares his experiences in A Role for Artists in Troubled Times. It is a powerful addition to today’s debate about the purpose and practice of photography in times when we urgently need to try harder to get it right. Robert Golden’s contribution to that conversation consists of five essays, in turns polemic, angry, melancholic, generous, hopeful and sometimes downright appalled at today’s crisis of conscience around the world in photography that could reflect and represent it. He takes us on his voyage of discovery, from his first sighting Diego Rivera’s Detroit Industrial Murals, through Da Vinci’s portraits and Michelangelo’s Slaves, on to Edward Weston’s visions of beauty and love, Paul Strand’s photo essays about the inherent dignity of all people and all races, to Henri Cartier Bresson’s (perhaps the author’s too) ‘decisive moment’, as a complete photographer emerges. The one who compares and contrasts Caravaggio’s democratisation of the subjects of art with those of W Eugene Smith’s astonishing photographs. Robert creates a bespoke guide, learnt through his diligent and creative practice, for today’s photographers and other artists. The film below is composed of photographs and paintings that are mentioned in the book’s text. If you bring the film up onto your screen and stop and start it before and after each section you will see that each section referred to in the book is separated by about 3-4 seconds of black. IMPRESSIVE CLARITY OF THOUGHT, SO REFRESHING!! I have been aware of this author’s work for several years and attended many of his workshops. He is prepared to stand out and say what so many of us are increasingly feeling. There is precious little free space/time for where we are going that voices as loud and clear as Robert's need much more oxygen, and unless we engage with it, we are all going to suffocate. Read it, get involved, take ownership and generate some more love. M. N.